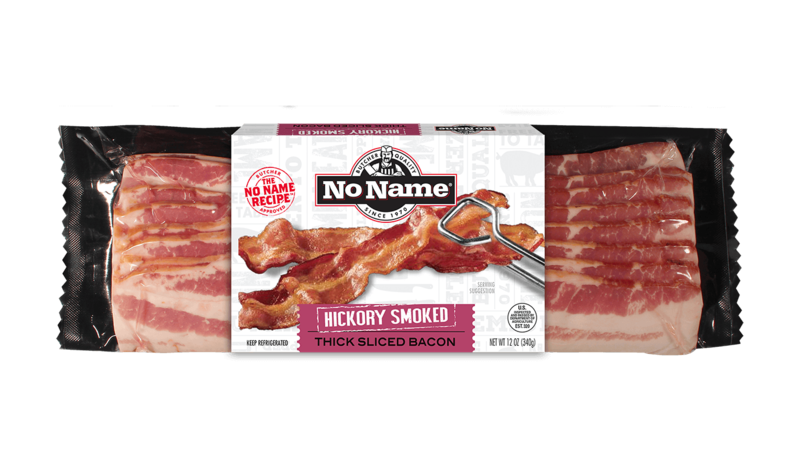 Thick cut, hickory smoked bacon just like you’d get at the butcher shop, but available at your local grocery store. This is what bacon is all about. 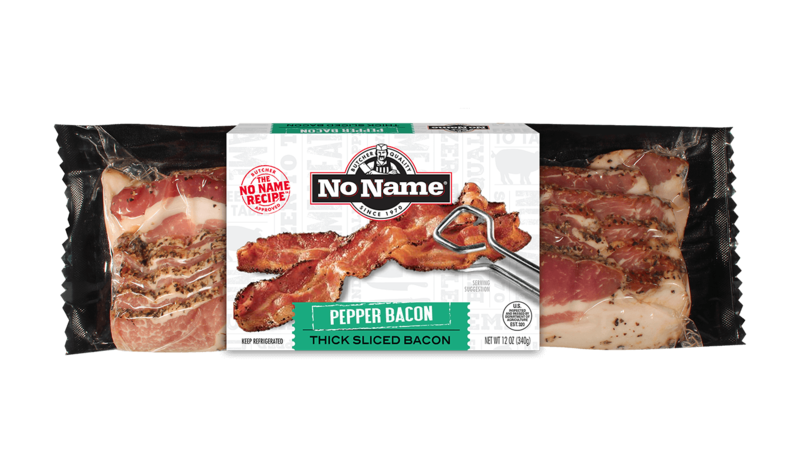 Click here for No Name® Bacon recipes. 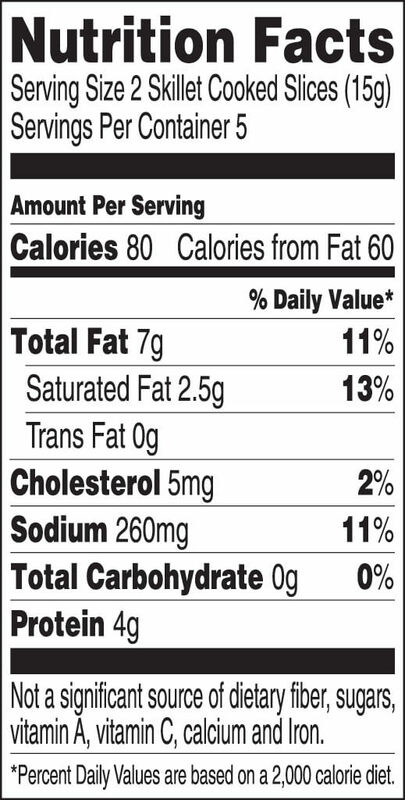 INGREDIENTS: CURED WITH WATER, SALT, SUGAR, SODIUM PHOSPHATE, SODIUM ERYTHORBATE AND SODIUM NITRITE. Lay out slices in baking sheet and bake for 12 to 18 minutes, depending on desired doneness level. Place bacon in unheated skillet. Cook on medium heat approximately 6-8 minutes on each side to desired doneness.